So, if you have a creative mind and an artistic hand, and want to showcase your Filipino talent through Freeway, this is your chance to put your brain and your heart to work. Just click on the photo to see the enlarged version. 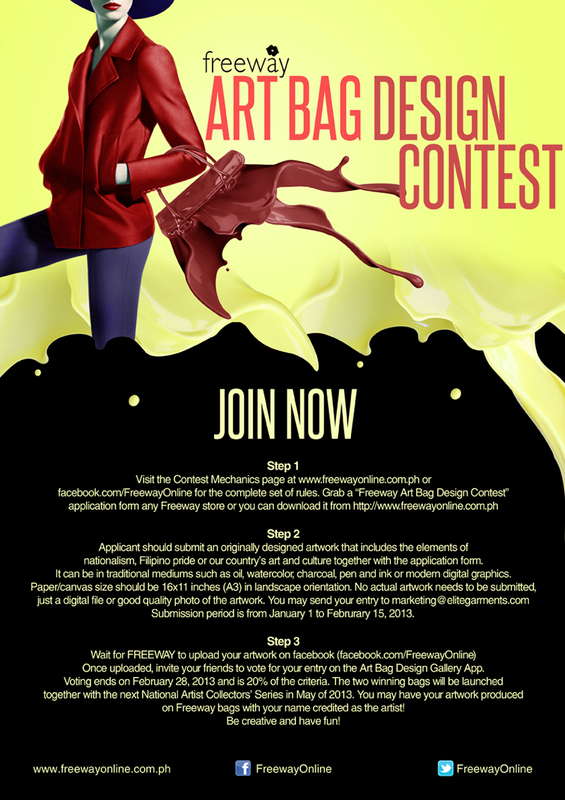 Submission of entries is only until February 15, 2013. And what will the winner get? 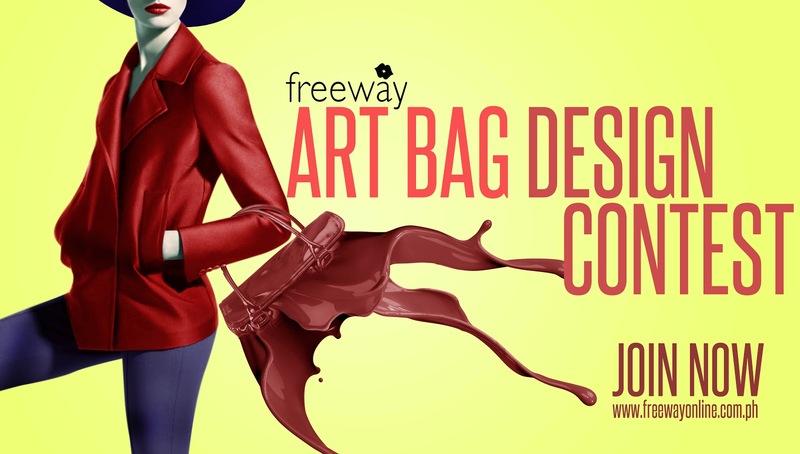 Aside from seeing their artworks and their names in Freeway stores nationwide as part of the National Artist Collector's Series 2013, each winning designer will also get a 16GB iPad Mini and Php10,000 worth of Freeway gift certificates! So, what are you waiting for? Join now and become a part of the historic National Artist Collector's Series! What have you got to lose, anyway? I will be forwarding this to my son so that he could learn this..